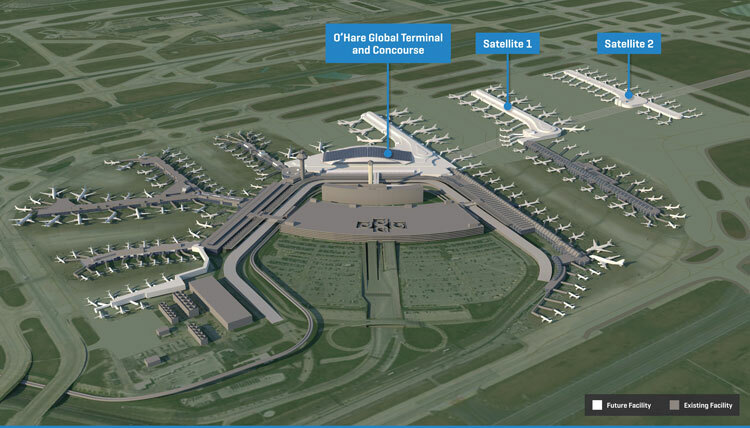 Chicago — Mayor Rahm Emanuel joined the Chicago Department of Aviation in taking the next step forward in selecting a lead architect for O’Hare International Airport’s $8.5 billion expansion. The city unveiled the designs of five architecture finalists with renderings and models representing the potential future O’Hare Global Terminal. It is now inviting the public to review the designs and share their opinions on which best represents a modern airport and the city’s aviation future. Beginning today through January 23, residents and the traveling public can view the new terminal designs, and share their feedback in one of three ways: by visiting terminal models at the Chicago Architecture Center (CAC), by visiting a special exhibit at O’Hare’s Terminal 2, or by viewing online at www.VoteORD21.com. The feedback period ends January 23. Both the CAC exhibit of terminal models and the special exhibit at Terminal 2 will run through January 31.